Kuwait Airways recently made news by ending its route between New York-JFK and London’s Heathrow after the US Department of Transportation threatened to take action against the airline for its refusal to sell tickets to Israeli passengers. With legal action pending, the airline informed the Transportation Department that it would be ending its service between New York and London altogether rather than allowing Israeli citizens on board. So, unfortunately — or fortunately, depending how you look at it — you can no longer book this flight. If you try to book this same route now, you’ll be presented with this message. However, I booked my ticket before all this drama began — the number one reason why I booked it is because of price. I was booking a last-minute ticket, and while the major carriers like Delta, United and American were all charging almost $6,000 for a one-way last-minute business-class ticket, Kuwait was only charging $1,000 for business and $1,400 for first. I said what the heck, let’s splurge a little bit for first class. Kuwait is not part of an alliance. The carrier does have a frequent-flyer program, but I highly doubt I’ll ever be able to use the miles I got from it unless it joins an alliance or partnership sometime soon — and I don’t see that happening. So, if you fly Kuwait, don’t do it for the miles, do it for the price. Because, as you’ll find out in my review, the experience isn’t all that remarkable anyway. However, I had already meet my AA elite status requirements, so I didn’t really care too much about not earning miles on the trip. Previously, I had flown Virgin Atlantic (look out for a new review coming soon! ), Delta, United, American’s old and new product and even La Compagnie — among others — across the Atlantic. So, I was looking forward to seeing what another carrier had to offer on this popular transatlantic route. Kuwait Airways flew this route from JFK to LHR and then continued on to Kuwait City. But, because of fifth-freedom rights, I was able to book just the first leg of the trip. On this hop to and from London, I decided to go on a fifth-freedom extravaganza where I would fly two one-way flights — one to London on Kuwait and back to New York on Norwegian (review coming soon). I booked the flight using my American Express Premier Rewards Gold Card to earn 3x points on travel when booked directly through the airline. Has anyone flown @KuwaitAirways 777 first class between NYC and London? Tempted to book, but finding it almost impossible to find info! Kuwait leaves out of JFK’s Terminal 4. When I got to the airport, check-in went really smooth and quick — there was no one in the first-class line, so I zipped through, checked my bag, got my boarding pass and went on to security. But, that’s as far as the swiftness went. The outside of JFK’s Terminal 4 looks relatively calm, but inside it was packed. Terminal 4 on a Thursday night was jam-packed with people. Even the first/business-class security lane took about 45 minutes to get through, which I had not planned for. And, of course, TSA PreCheck isn’t an option when you’re flying Kuwait, so keep that in mind if you plan on flying with the carrier in the future. Another major point that I was grateful to have known before boarding the plane: Kuwait is a dry airline, meaning no alcohol is served on board. But being that it was a six-hour flight and I wanted to get some sleep anyway, a dry flight wasn’t that big of a deal on the way there. However, after the long and drawn-out process at security, I grabbed a quick (and much needed) martini on the way to the gate. I’m not even sure what lounge I would have had access to, but that’s a moot point now, as the route is no longer in service. I took my time getting to the gate — not because there was a lot of time to spare (which I would have spent in a lounge), but because security took so long and I wanted to make sure there was enough time to finish off my martini before hopping on board. In fact, I was one of the last people to board. The boarding process itself was uneventful. When I stepped onto the plane and took my first peek around the cabin, I was shocked and giggled to myself because it really felt like time travel. To call the interior of the plane outdated is a severe understatement. I kind of figured it would be outdated, but it was really — I mean really — old. As soon as you step inside, you’re transported back in time to a period when aviation was full of tropical patterns, uncomfortable seats and outdated amenities – I imagine this is what it would be like to fly in the mid-80s. 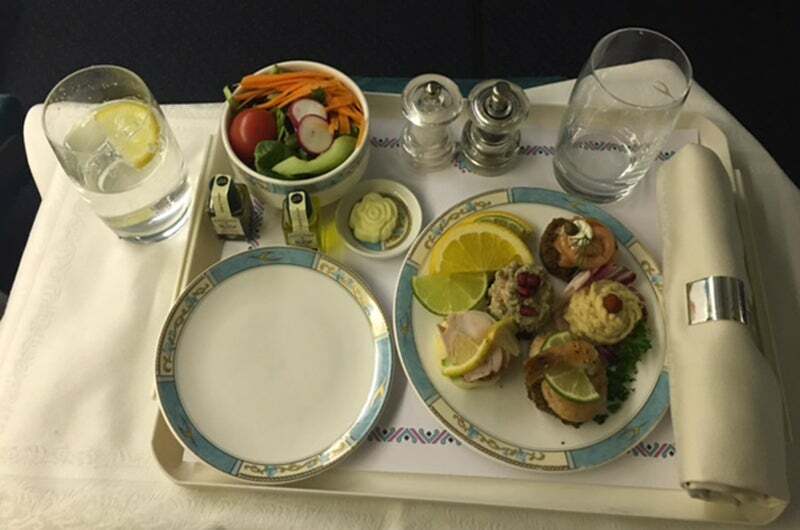 I was completely shocked with the interior of the plane, as it was something I hadn’t experienced in years — and it was certainly the complete opposite of my experiences when flying first class on other carriers. Aesthetics aside, the cabin didn’t impress much. Upon boarding, I asked one of the FAs for an amenity kit, and she proceeded to tell me they had forgotten to load them, which I found pretty funny. The business-class cabin has a 2-3-2 arrangement with chunky old seats. The business class of the 777 aircraft is in a 2-3-2 formation with chunky old seats — kind of like those seen in Home Alone. 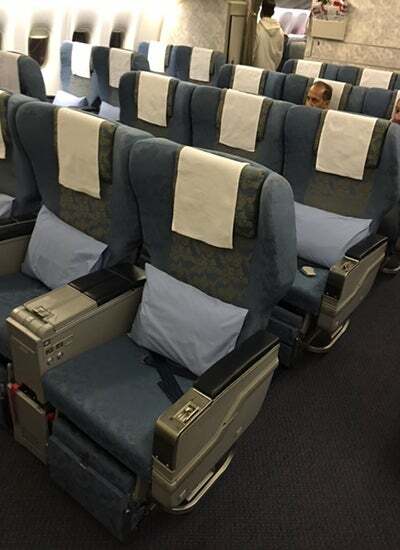 The first-class cabin is arranged in four rows of 2-2-2, with the same design pattern, which ended up reminding me of the seats when I flew Air Seychelles from Charles de Gaulle to Seychelles in 2010. The first-class cabin itself was pretty big. And I was even more pleasantly surprised to find out that I was one of only five other people in the cabin – one of them being my friend. So, doing the math, five people had a total of 24 seats – which was definitely a bonus. But unfortunately, that didn’t really make a difference because you can’t really combine the seats like in Singapore’s first class. However, I can’t imagine what the cabin’s service or ambiance would have been like if the cabin were completely full with all 24 passengers. 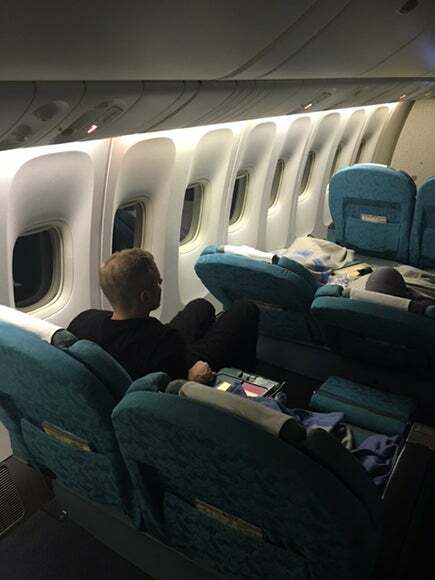 I imagine the FAs would have been stretched to their limits, and we probably wouldn’t have gotten dinner until final arrival into London because it’s such a large first-class cabin, especially for an international carrier. 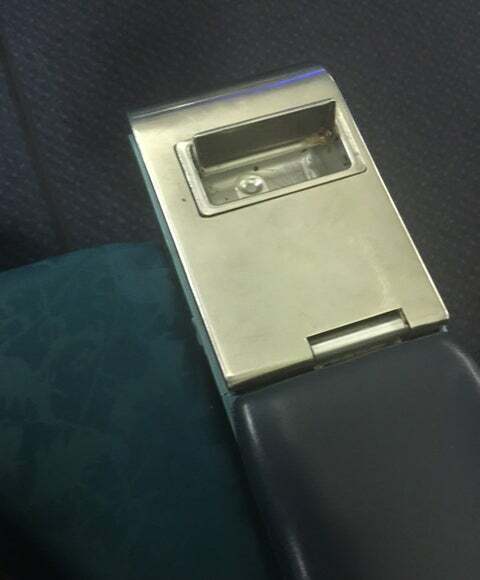 A personal throwback favorite of mine was the built-in armrest ashtray. Although that was nice, anytime I looked up, I was reminded of where I was. I felt time-warped back to the 80s, with ashtrays in the armrests and seats that barely reclined. I ended up taking some of the extra pillows on the empty seats around me and made a nest of sorts so I could comfortably sleep for part of the flight. To make up for everything that the interior of the cabin lacked, the crew couldn’t have been nicer and more attentive. We had a woman from Romania and a Kuwaiti man who were above-and-beyond nice and did everything they could to make this a good flight. The long menu with many choices. As I mentioned earlier, Kuwait is a dry airline, so beverage service was limited to cold sodas, juices and hot coffee and tea. The food menu was somewhat long and a bit overwhelming, and main entrees ranged from a pan seared halibut to herb-crusted beef fillet. My canapé plate was good, but not the best. For starters, we were given a selection of canapés on a platter — a shrimp and salmon selection. They were decent, but nothing to get excited about. My shrimp biryani was OK — not the best, but not the worst. After the hors d’oeuvres plate, we were served our main entree. 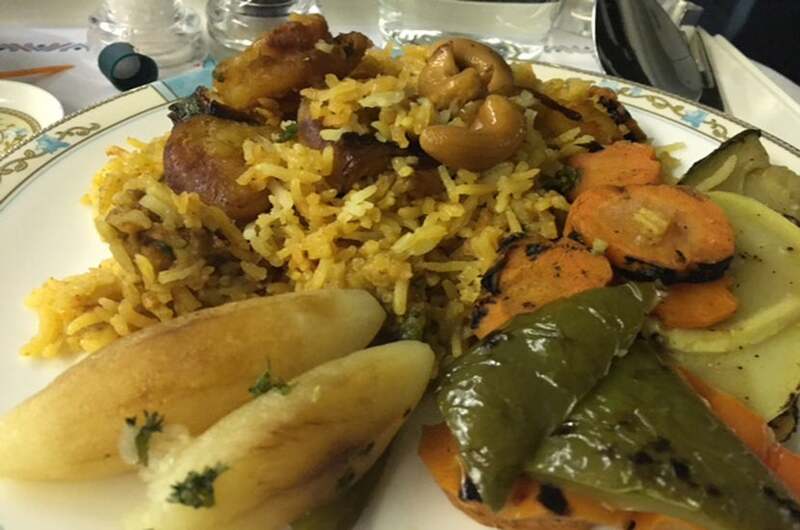 I chose the shrimp biryani, which consisted of prawns cooked in biryani masala served with biryani rice, a tomato sauce and garnished with fried onions and cashews. It was fine, but nothing to write home about. 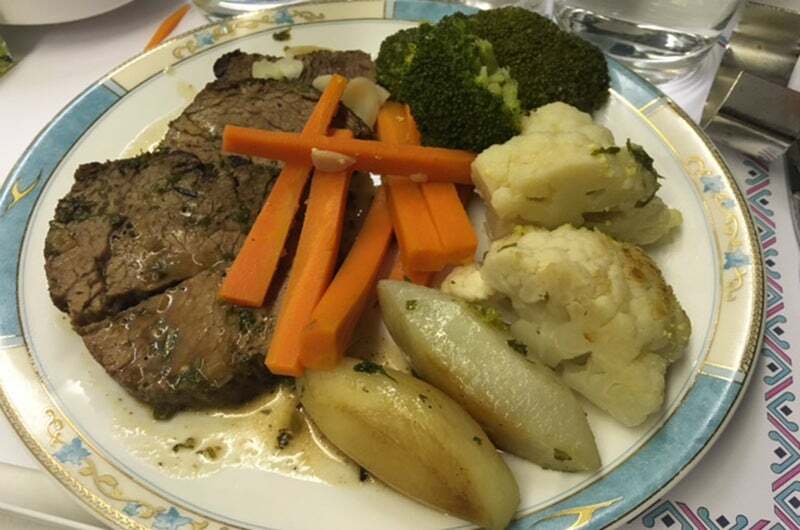 The herb-crusted beef was decent. My friend chose the beef fillet, which was a herb-crusted beef fillet served with peppercorn sauce. He said it was fine, which looked like was going to be a theme for all of the food on this flight. The soup was quite tasty. However, that changed after I tried the roasted pumpkin and sweet potato soup, which was actually really good. I’d recommend this if you find yourself on a Kuwait Airways flight in the future. In the middle of the flight — before I fell asleep — the crew gave us priority security fast passes for when we landed in London, which was a nice touch and helped us zip past security. And, as an added bonus, our bags came out on time. It was an interesting experience, but I don’t think I’ll be flying Kuwait again in the near future. 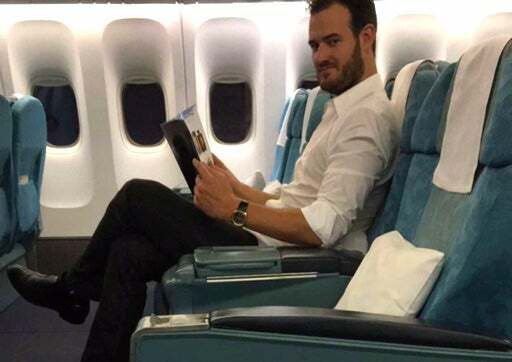 Overall, Kuwait Airways is a cheap way to get across the Atlantic in relative comfort. Because there were hardly any passengers, I used about 20 of their pillows and five blankets to create my own sort of zen oasis. It really wasn’t as bad as some angle lie-flats I’ve flown in before, and I don’t really mind the recliner style, but I wouldn’t want to fly long distances in them. Don’t book a ticket expecting luxury, because you’re not going to get it. There’s a little saying that you get what you pay for, and if you need to get to London on a last-minute ticket and save thousands, then Kuwait is definitely an option. 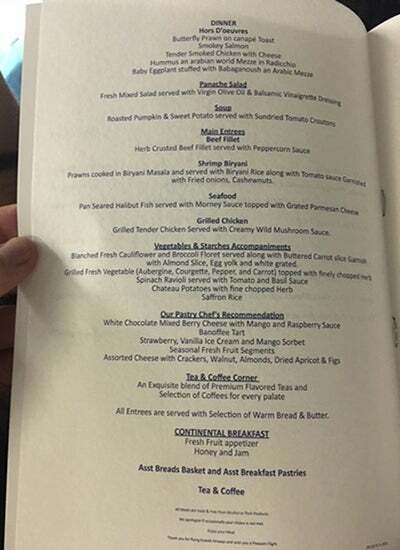 But frankly, as you’ll find in my Norwegian review (coming soon), I would much prefer spending half as much and fly Norwegian Premium and get better food service and the same sort of seat on a much newer plane. Kuwait, you were fun to try out, but I probably won’t be on board anytime soon. 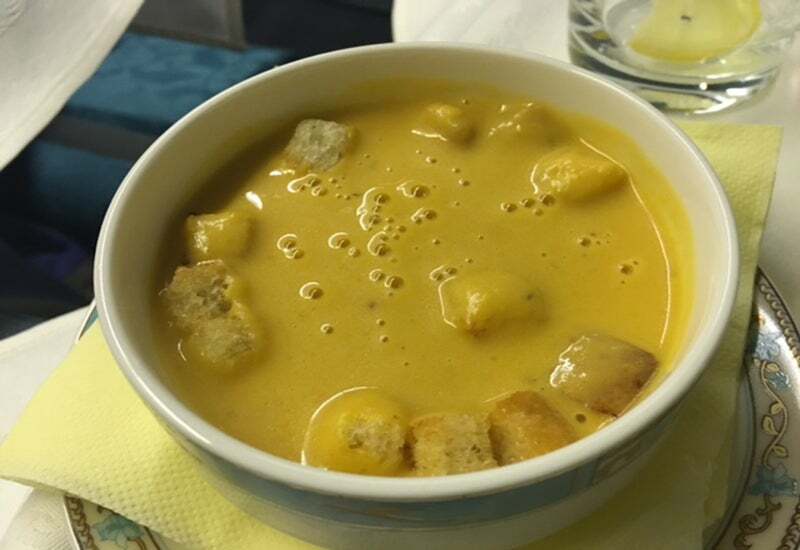 Have you flown Kuwait first class before? Share your experience in the comments below!